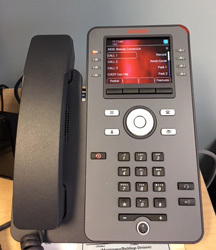 The entire Maple Run Unified School District has had a whole new phone system installed. Going from several outdated systems to one universal district-wide system will mean easier access to staff. Now transfers can be made from building to building. There is a directory of all MRUSD staff. It is a voice over internet protocol (VOIP) system meaning there are more “lines” available, so there should be far fewer busy signals. Everyone at Fairfield, City School, Early Childhood Programs Office and Central Office now have new “direct lines” and extensions. As customary, all of the positives are hampered by some problems getting everything in place. We are very close, so please bear with us. Be sure you have our new numbers, by listening to the new message, or looking up your contact’s direct line or extension, on the website under staff, and bear with us while the entire system settles in and staff adjusts to it.